Back in May when exams were ruling my life (oh, I know, I’ve wittered on about them enough! 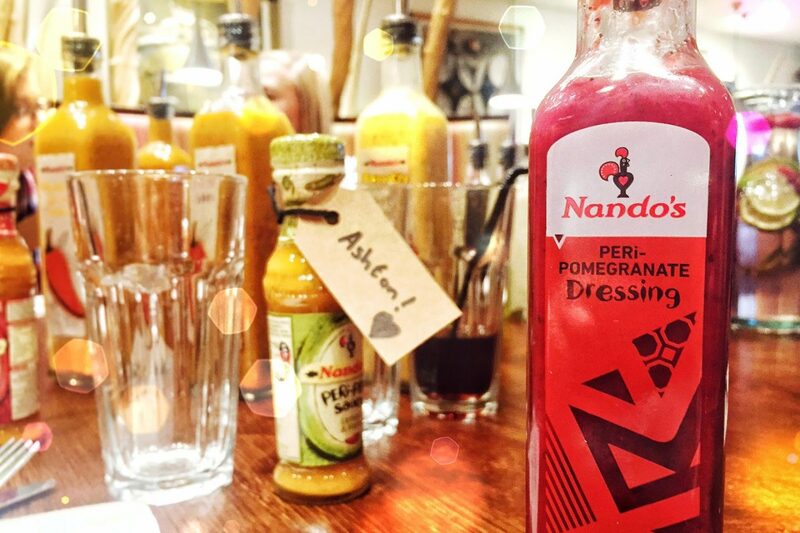 ), I was lucky enough to be invited along to Nando’s to sample their new summer menu. 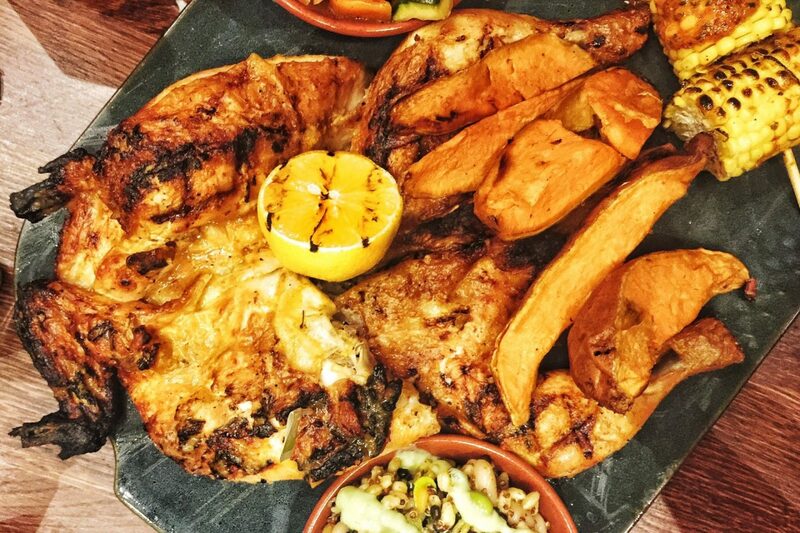 Being a gal that loves a cheeky Nando’s – so much so that it made an appearence in a list of 50 things that make me happy – I couldn’t wait to get stuck in, and now I finally have time to tell you all about the glorious grub, and no doubt make myself drool along the way. I was joined by my fellow Hull Bloggers for the launch night and so was in great company. 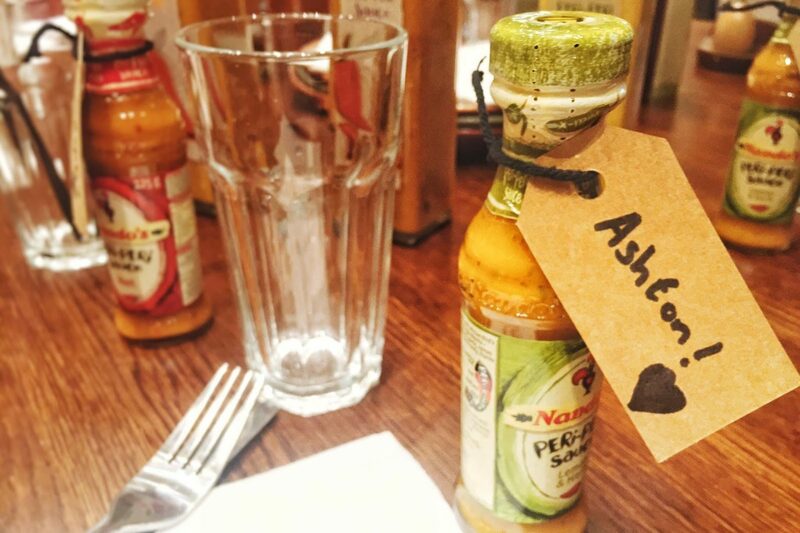 We were welcomed warmly before being seated and finding our places around the table by hunting down our own personalised bottle of Nando’s sauce – super cute. Whilst eagerly awaiting our yummy food, we began the night sipping on the new Vinho Spritzers as a member of staff talked us through the menu. 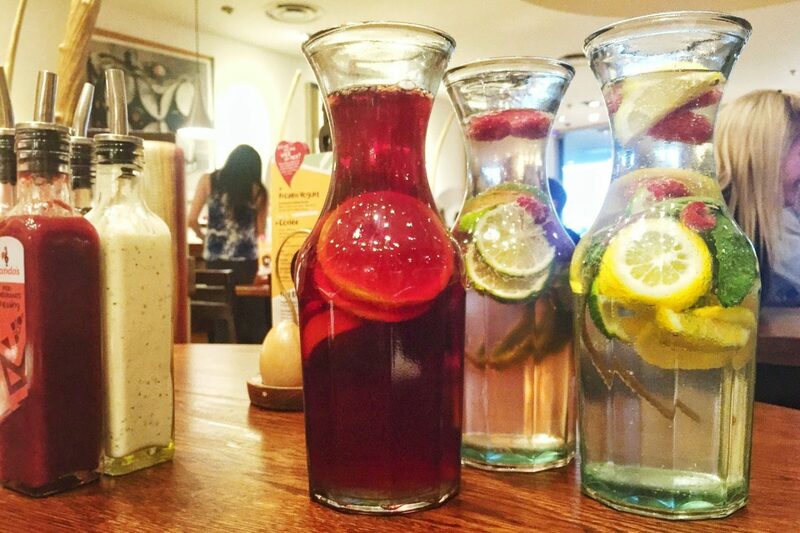 The spritzers were a twist on Sangria and were made up of wine, lemonade and filled with fresh fruit, making for a very attractive looking drink! As the Vinho Spritzers were flowing, we were presented with a fabulous selection of food in the form of a Fino Platter, all served on an attractive handmade ceramic plate. The whole flame-grilled chicken was the main attraction and it was accompanied with a colourful selection of sides including sweet potato wedges, a lighter take on coleslaw, supergrains (made up of red quinoa, wheatberry, cannelloni beans and more), chargrilled veg and a peri-buttered corn on the cob. I know right. Heavenly (and a fab healthier option too). For me, the chargrilled veg and peri-buttered corn were the perfect complements for the chicken. They gave the plate a nice pop of colour and seriously tasted delicious. The sweet potato fries went down a treat too! 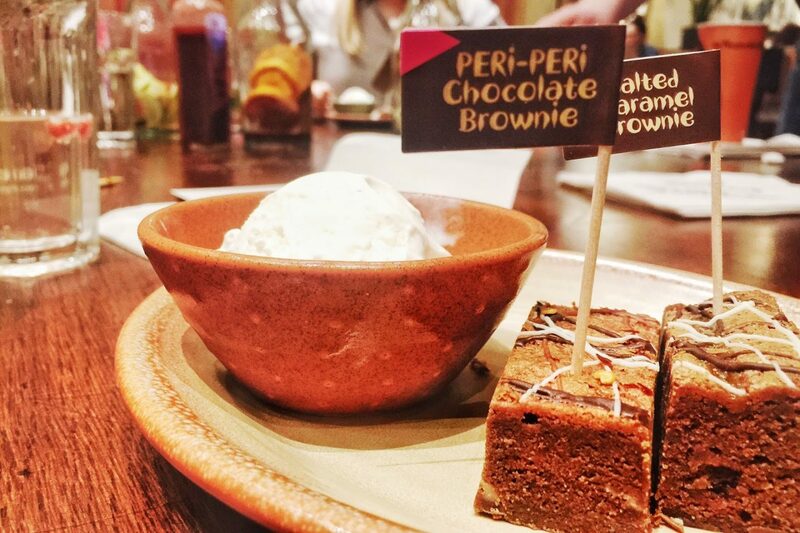 We finally finished filling up our tummies by sampling the new additions to the dessert menu – peri-peri chocolate brownie and salted caramel chocolate brownie. Naturally, I was more than happy to indulge and try both flavours! The peri-peri chocolate brownie was incredibly yummy, though definitely gave a kick in the back of my throat after a few bites and I eventually gave up! The salted caramel brownie, however, was perfection, and I demolished the entire gooey piece of goodness despite an already bulging belly. Have you tried anything from the new menu yet? What did you think? Previous Post Getting Party Ready with Cracker Drinks Co.
Next Post I made a video!